A decision by the Minnesota Supreme Court on Wednesday will help the public learn more about how law enforcement use of privacy invasive biometric technology. The decision in Webster v. Hennepin County is mostly good news for the requester in the case, who sought the public records as part of a 2015 EFF and MuckRock campaign to track mobile biometric technology use by law enforcement across the country. EFF filed a brief in support of Tony Webster, arguing that the public needed to know more about how officials use these technologies. 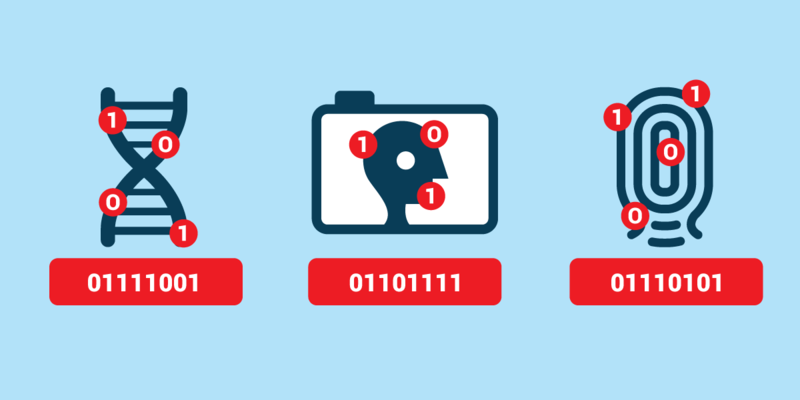 Across the country, law enforcement agencies have been adopting technologies that allow cops to identify subjects by matching their distinguishing physical characteristics to giant repositories of biometric data. This could include images of faces, fingerprints, irises, or even tattoos. In many cases, police use mobile devices in the field to scan and identify people during stops. However, police may also use this technology when a subject isn’t present, such as grabbing images from social media, CCTV, or even lifting biological traces from seats or drinking glasses. Officials largely ignored the request and when Webster brought a legal challenge, they claimed that searching their email for keywords would be burdensome and that the request was improper under the state’s public records law, the Minnesota Government Data Practices Act. Webster initially prevailed before an administrative law judge, who ruled that the agencies had failed to comply with the Data Practices Act in several respects. The judge also ruled that request a search of email records for keywords was proper under the law and was not burdensome. County officials appealed that decision to a state appellate court. That court agreed that Webster’s request was proper and not burdensome. But it disagreed that the agencies had violated the Data Practices Act by not responding to Webster’s request or that they had failed to set up their records so that they could be easily searched in response to records requests. Webster appealed to the Minnesota Supreme Court, who on Wednesday agreed with him that the agencies had failed to comply with the Data Practices Act by not responding to his request. The court, however, agreed with the lower appellate court that county officials did not violate the law in how they had configured their email service or arranged their records systems. In a missed opportunity, however, the court declined to rule on whether searching for emails by keywords was appropriate under the Data Practices Act and not burdensome. The court claimed that it didn’t have the ability to review that issue because Webster had prevailed in the lower court and county officials failed to properly raise the issue. Although this means that the lower appellate court’s decision affirming that email keyword searches are proper and not burdensome still stands, it would have been nice if the state’s highest court weighed in on the issue. EFF is nonetheless pleased with the court’s decision as it means Webster can finally access records that document county law enforcement’s use of biometric technology. We would like to thank attorneys Timothy Griffin and Thomas Burman of Stinson Leonard Street LLP for drafting the brief and serving as local counsel. For more on biometric identification, such as face recognition, check out EFF’s Street-Level Surveillance project.